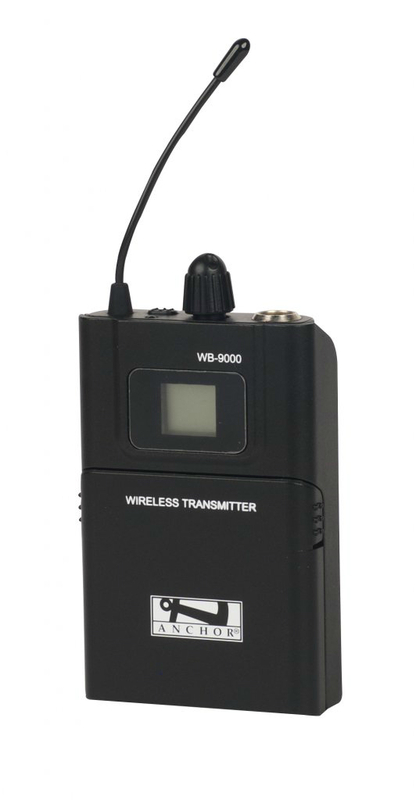 The WB-7000 is a wireless beltpack transmitter with a TA4F connector plug. It operates on 540 - 570 MHz frequency range and has 700 wireless channels. The WB-7000 beltpack is used with the Anchor Audio UHF-7000 external wireless system. For a handsfree, wireless experience, the WB-7000 can be used with microphone elements such as the: HBM-TA4F, CM-60, EM-TA4F or LM-60. The WB-7000 has a two year warranty. 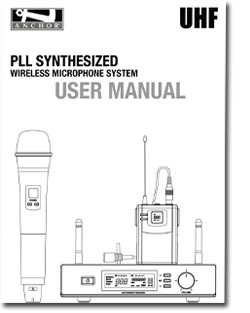 Below is the User Manual for the UHF-7000 Series Wireless Mic. These are printable spec sheets in .pdf form.